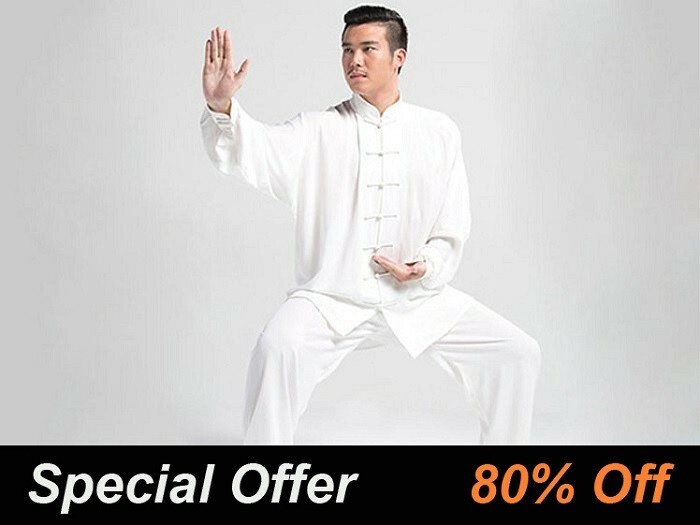 Distinguished for the first-class soft cloth and extreme drape, this version of professional Tai Chi suit for Tai Chi and wushu training is beyond doubt the best-seller in Tai Chi market, and Jinwu one of the most credible brands. 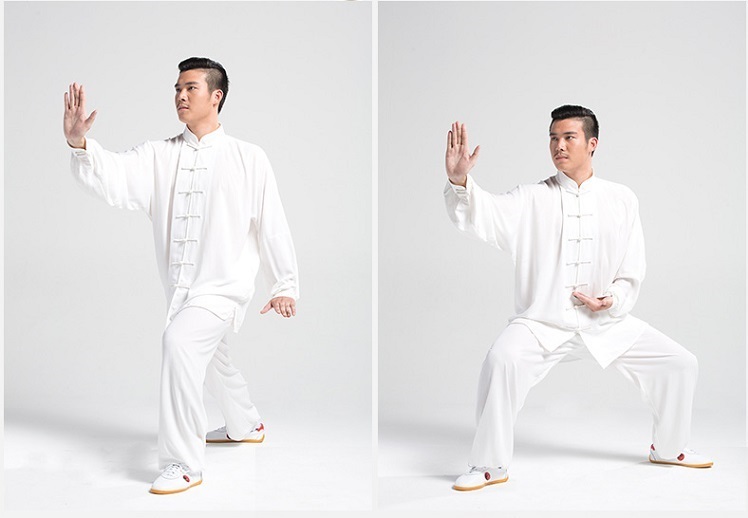 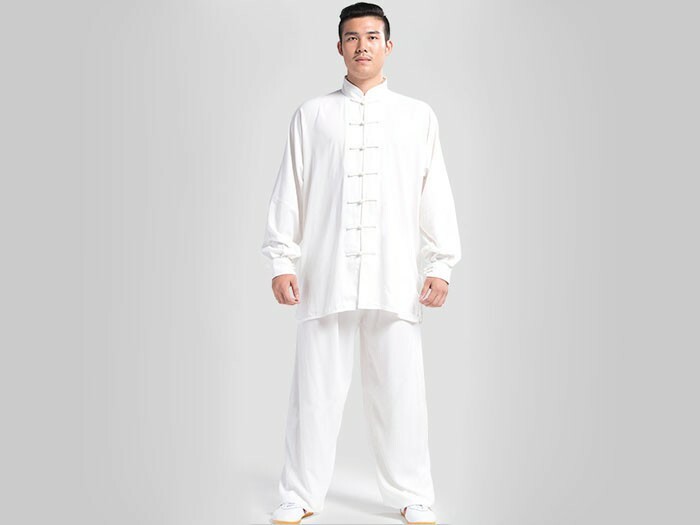 The biggest bright point of these Tai Chi suits is the special material, a blend of cotton and rayon, which is the most popular shell fabric in Tai Chi Clothing, not only for the extreme softness and smooth feel, but it’s really perfectly comfortable and well fitting for any type of physique. 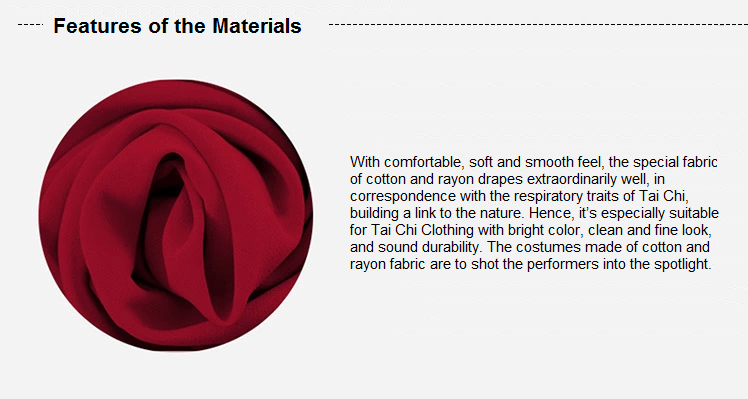 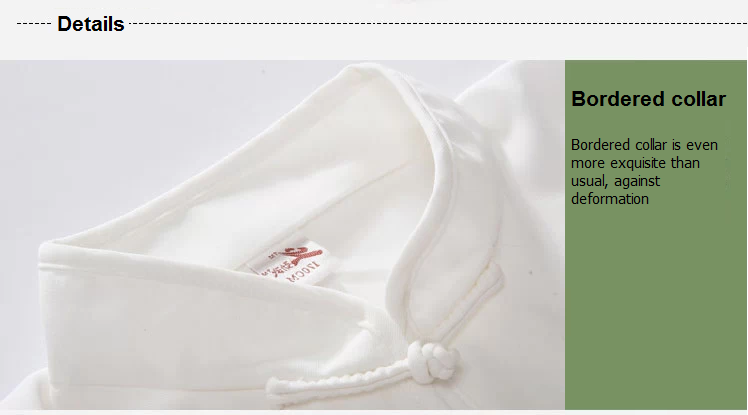 The blend of cotton and rayon makes the perfect drape in accordance with nature and Tai Chi. 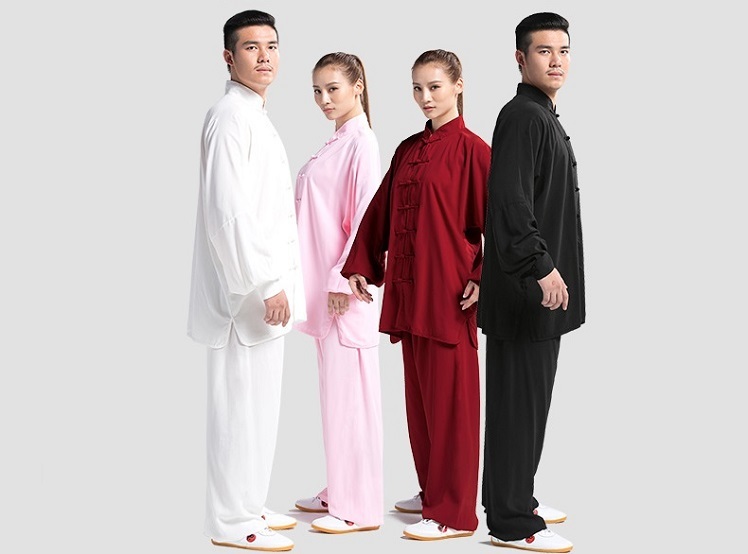 Plus, the bright color, glabrous and nice fabric, and endurable structure allow the special clothing to stand out whether in daily training or performance. 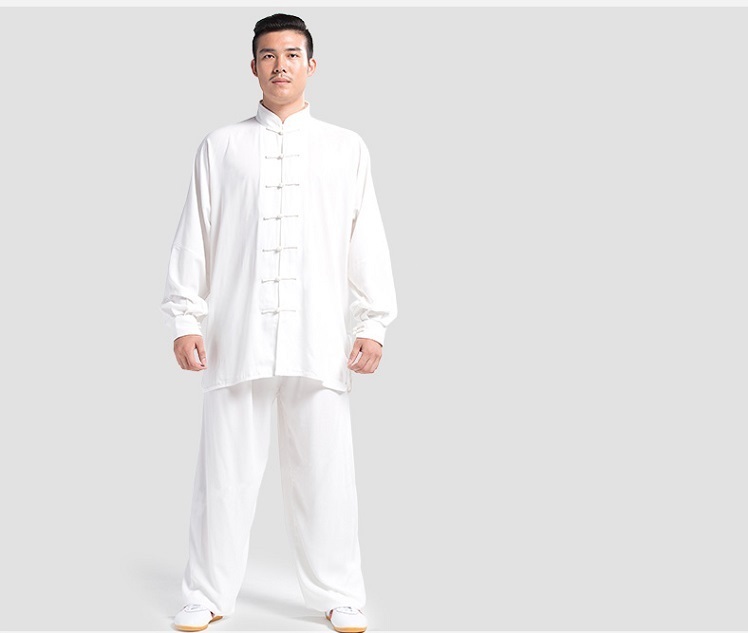 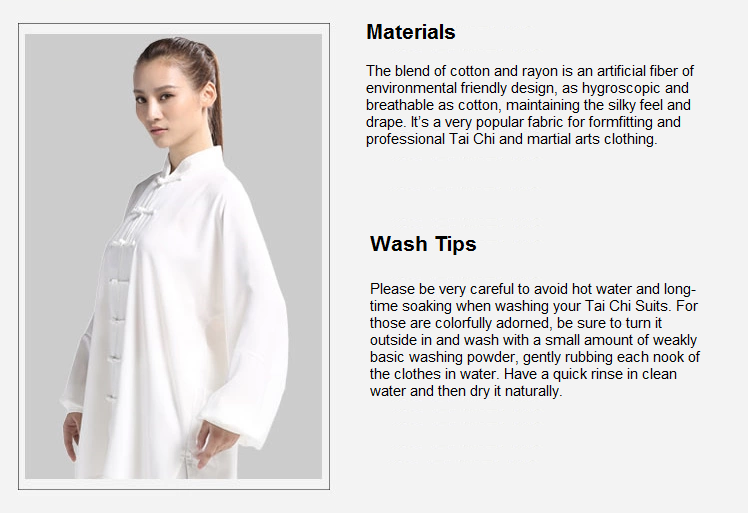 The Tai Chi Suit is designed loose and graceful, fit for both training and leisure. 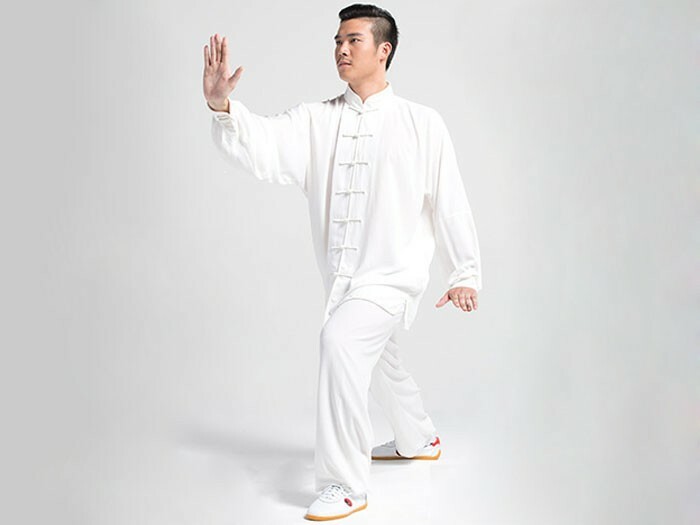 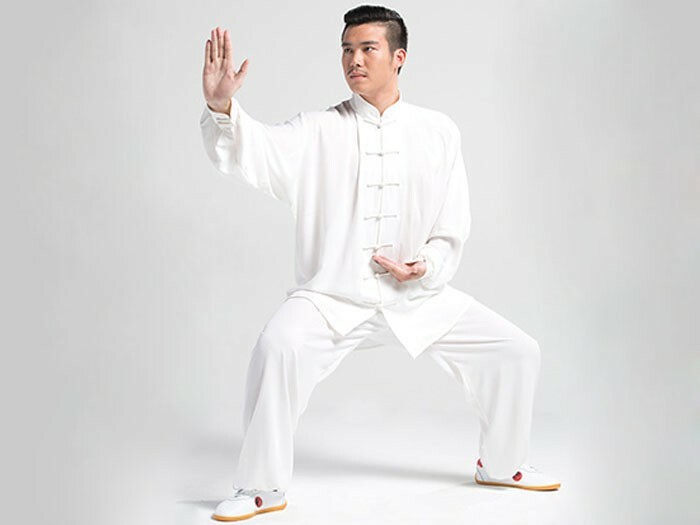 The traditional design of collar, cuff and the mandarin button is very Chinese, all sticking to the nature of Tai Chi. 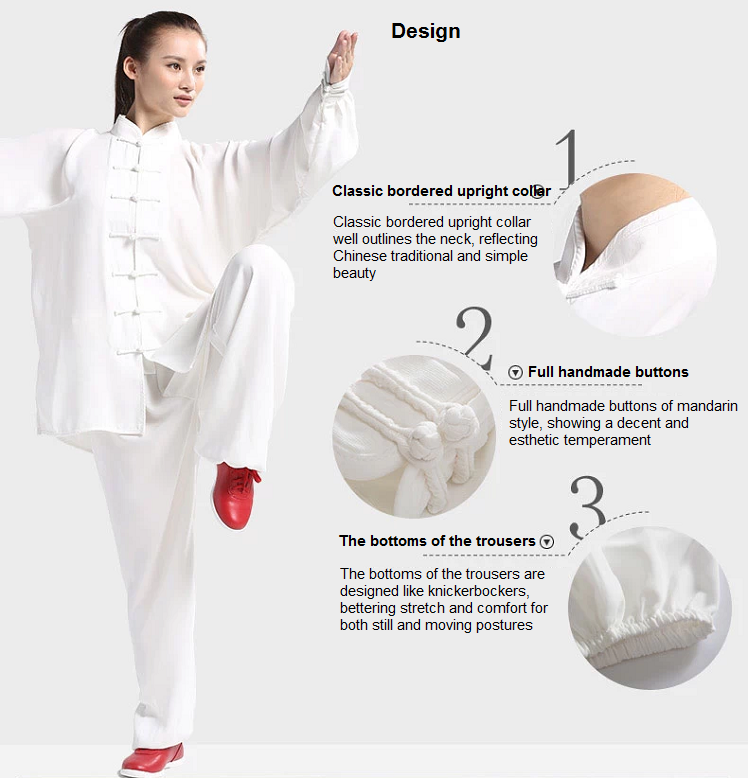 Meanwhile, some new creative ideas are added to make it more humanized and suitable for today’s training and living, much manifested in such detail design as side vent, elastic at waist and bottom of the trouser legs.